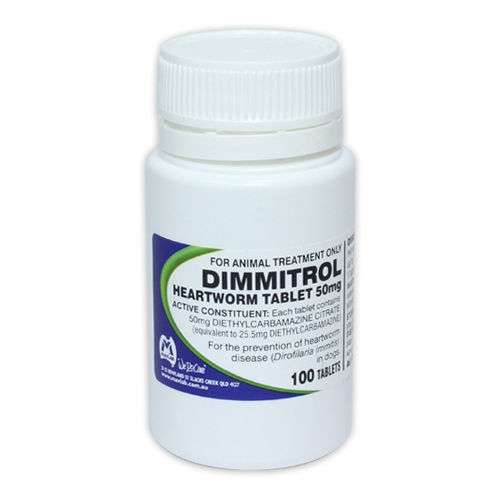 Dimmitrol heartworm tablets are an effective anthelmintic that prevents heartworm disease, treats lungworms and roundworms in dogs. The tablets are given daily and are suitable for all breeds of dogs. 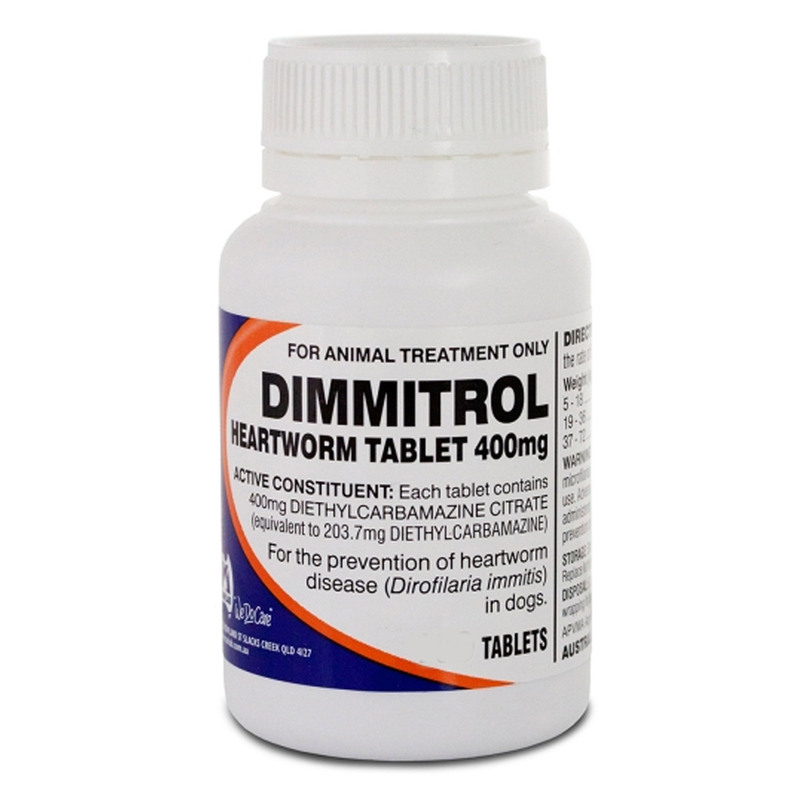 These daily tablets containing Diethylcarbamazine are ideal for pets that are sensitive to any of the monthly heartworm preventives. Get your pet tested for existing heartworms prior to starting the treatment. 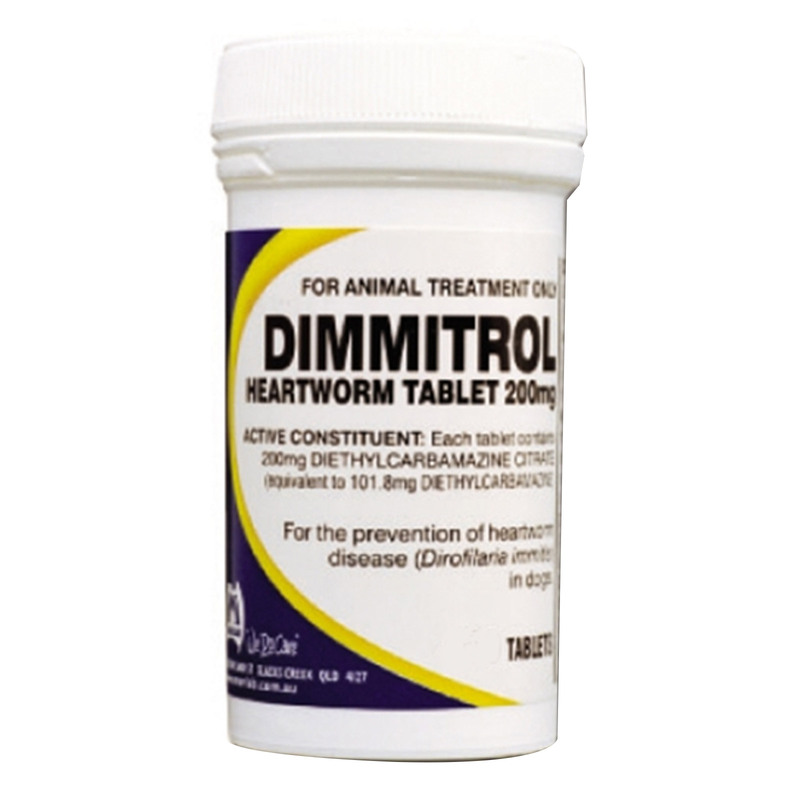 If it gives a negative result for heartworm microfilaria then start administering Dimmitrol tablet. The ideal dosage of Diethylcarbamazine for the prevention of heartworm disease is 5.5 mg per kg bodyweight. The dosage would vary in accordance with the bodyweight of the pet. Administer as per the weight of the pet. Consult a vet for further details. Get your pet tested for existing heartworm infection. Otherwise, anaphylactic shock may be observed in the pet. Good treatment for roundworms and lungworms. One of my friends who also happens to be a vet had recommended me these tablets when my dog had roundworms. I have been giving these tablets on a daily basis to my furry pal and so far he has not been affected by heartworms. Highly recommended product!!! For a pensioner like me these tablets are like a boon because they do not cost much and their effectiveness against heartworms is amazing. I regularly give these tablets to my furry pal on a daily basis. He is free from heartworms without any apparent side effects of the tablets.